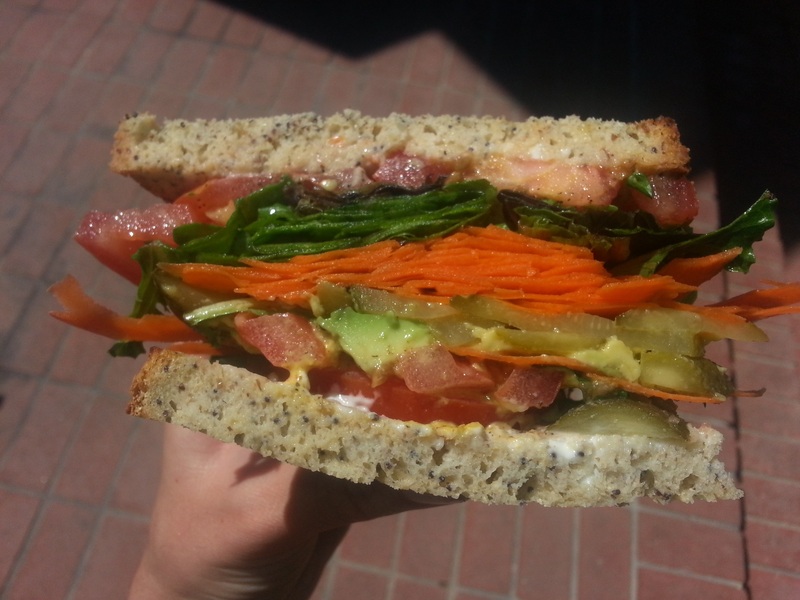 This fresh, yummy vegetable sandwich has become such a favorite of mine! It’s simple to put together, the ingredients are affordable, and it’s absolutely delicious! I can’t get enough of it and I know that once you try it, you will quickly make this a go-to in your line of recipes :). Spread the mustard on one slice of bread and the vegenaise on the other. Add the tomatoes on one slice of bread and sprinkle some black pepper on top. Add the pickles, shredded carrot, organic spinach, cucumber, and avocado. Add cayenne pepper to the avocado for a spicy kick. Be careful not to use too much or the sandwich will be way too spicy – a little cayenne pepper goes a long way. Add everything else that you’re using, put the other slice on top, and enjoy!